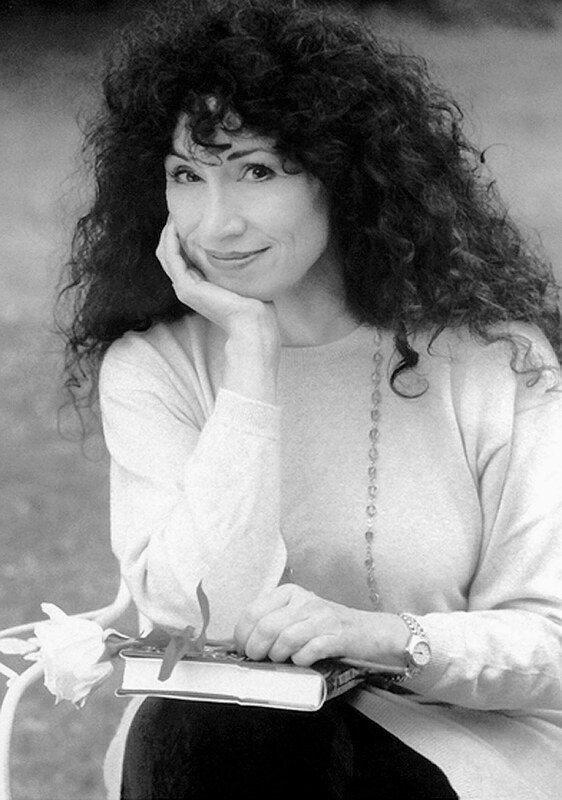 Diane Ackerman, bestselling author of A Natural History of the Senses, An Alchemy of Mind, and The Zookeeper’s Wife, has built a reputation on her poetic sensibility and uncanny knack for scouting out connections between the heavens, Earth, and everything in between. 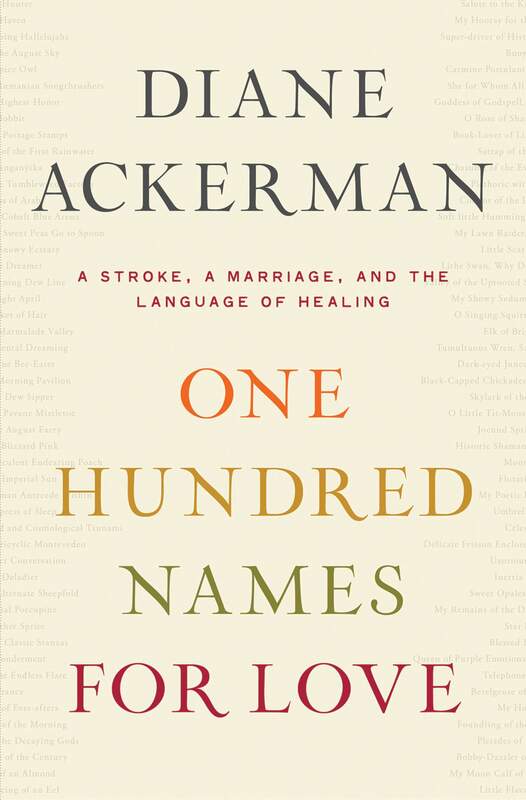 In her latest memoir, One Hundred Names for Love: a Stroke, a Marriage, and the Language of Healing, Ackerman navigates between the science of aphasia, the culture of illness, and her marriage to author Paul West with graceful and surefooted verve. But all is not lost. Evidence of Paul’s great mind still thrums beneath the surface, and Diane, the ever-resourceful mate, fashions a panoply of exercises to stimulate her husband’s brain. SMITH recently caught up with Ackerman to discuss her latest memoir, how she managed to write her next book, The Zookeeper’s Wife, while caring for Paul, and, of course, her favorite pet names. As a writer of creative nonfiction, this isn’t your first memoir, but it is arguably your most personal subject to date. Yes, it was by far the most personal and it was great fun to write. Books of mine like The Moon by Whale Light and the Rarest of the Rare are just not as revealing or psychological. I share a lot of intimate things about Paul and me before the stroke. Paul was a true British eccentric who liked to improvise and was afraid to be in the presence of fresh fruit, but he was also the most gifted, romantic person, and our household was always zany in romantic ways. It was great fun to include those elements in the book. You aren’t a scientist, but you are quite adept at writing about science. I noticed Carl Sagan was on your doctoral committee at Cornell. When I was at Cornell my doctoral committee included a poet and a scientist. With everyone running interference, I could do an interdisciplinary degree and take courses like Physics for Poets. I didn’t believe nature was knowable from just one perspective. I still think it’s unfortunate that students are obliged to choose between the arts and science. I don’t want to be a scientist, but I’m fascinated by the revelations of science. Science is just nature. I don’t make a distinction. It’s all part of the spectacle of being life forms on this crazy planet of ours. You write about slipping into your “naturalist’s way of knowing” as a way of coping with Paul’s brain damage. Did your work on An Alchemy of Mind inform your understanding of Paul’s condition? Because of my work for An Alchemy of Mind, I knew in chilling detail what had happened to him. Certainly, as a writer telling a story I was fortunate to have this knowledge, but as a spouse, the knowledge brought terror as well as hope. I knew that Paul had permanent damage to his brain and that in the case of stroke, a full cure isn’t possible though improvement is. I also knew the new golden rule of brain research: Contrary to what we were all taught and what a lot of people still think today, the brain isn’t rigid. We know now that brains are what neuroscientists call plastic, and that means don’t lose hope, because some neurons used for other tasks or some unused neurons can take over the functions of those that were damaged by stroke or injury. When Paul first emerged from his stroke, all he could say was “mem.” Have you two developed an attachment to that sound or do you just absolutely hate it? We still don’t know what “mem” meant, but it’s common after a stroke for somebody to be left saying just one word. Good thing it wasn’t a curse word. In the case of Charles Baudelaire the only thing he could say was “goddamn,” which was so awkward, because he was being cared for by nuns! We know of a director who can only say “yes”—not very useful for a director—and someone else who could only say “chicken.” No one knows why the brain is left snagging on just one word after a stroke. Paul doesn’t say “mem” anymore, but he sometimes makes jokes about it. The valentine I received from Paul this year was a handmade collage in multi-colors, and “Mem Mem” was scrawled across the top. That was on the first page, and the second and third pages were filled with sentiments. He always made me valentines, and that didn’t stop after the stroke. They just got a little more chaotic. As you were dealing with the first months of Paul’s stroke, were you keeping notes with the thought that you would publish on this subject matter? No. I was writing a little bit in a journal just to help organize my feelings, but I wasn’t thinking at all about publishing anything about it. I’ve always transcended best by pretending that I’m Margaret Mead viewing a scene for the first time or an alien from another planet regarding the spectacle of life on Earth and discovering how spectacular, unexpected, and beautiful it is. Certainly it came in handy when I was in the hospital. I sometimes roamed the hallways looking at it as if it were a separate culture with its own fascinations, habitat, tribes, customs, and protocol. I noticed unusual sounds, smells, textures, sights, and noises that we tend to take for granted, and I thought about how hospitals wreck havoc on the body and the mind. One of the first things that struck me about the hospital is how the florescent lights keep signaling to the brain that it’s always noon. Everything is white, sounds are pinging and clanging; everything is different. Such things do affect patients and their visitors. While caring for Paul after his stroke, you were also writing The Zookeeper’s Wife. How did you manage to write one of your most widely read books while in crisis mode? Writing The Zookeeper’s Wife was my salvation for many reasons. It’s important for caregivers to carve out time for themselves in which they can just nourish themselves. Every day, sometimes for just a few minutes or hours, I’d announce I was going to Poland, to the zookeeper’s wife. The Zookeeper’s Wife recounts the true World War II story of Antonina Zabinski, who hid hundreds of Jews and Polish resisters in the Warsaw Zoo. As a caretaker, were there aspects of Antonina’s character that you particularly connected with? Antonina had an almost mystical relationship with animals and nature, and I do, too. One way in which I would nourish myself as a caregiver was to go out in nature and find out what everyday miracles had taken place overnight and look at them with curiosity and wonder. That might just mean a walk through the woods or gardening. It could just be a few minutes, but I always found it replenishing. Another thing about Antonina—her husband was a hero in a traditional way—he worked with the underground—but Antonina was heroic because of her radical acts of compassion. She wanted people she was hiding to survive, not just the war, but with their humanity intact. All of these things came into play while I was dealing with the very intense and, in many ways, traumatic events of Paul’s stroke and the difficulty of having Paul at home and looking after him when I couldn’t understand a word he was saying. You write that “a caregiver is changed by the culture of illness.” Can you elaborate on that? I think both Paul and I were changed by illness, but not all for the bad. There’s always a piece of my mind that is vigilant—keeping an eye on Paul’s health and looking after his blood thinner and medications. I prefer to have that piece of my mind free as before. But on the other hand, Paul is happier than I’ve ever known him to be. It really brought to him an appreciation for life and living in the moment and a greater appreciation for me. It’s brought us closer than we’ve ever been. We now unwrap each day as it arrives, as the special gift that it is. I say at the end of the book that a bell that has a crack in it won’t ring as clearly, but it still can ring as sweetly. We’ve made a very good life for ourselves despite this trauma. Over the last six years, through ingenuity and mainly hard work on the part of Paul, Paul has improved beyond anyone’s expectations. I hope that readers take away that it’s important to know what’s possible and not to believe what doctors and textbooks still tell people—that whatever you don’t achieve in the first few months after a stroke you’ll have to learn to live without. As Paul improved, you encouraged him to write a novel about his experiences, entitled The Shadow Factory. What does the shadow refer to? I think the shadow is many things. The shadow is the misfortune that can befall a person. The shadow is what appears on x-rays during CT scans of the brain. The shadow could be the memory of a different life, a previous life that is behind you. The shadow is Plato’s shadows on cave walls. The shadow is also what the brain does—it makes allusions, because the brain itself is silent. The brain doesn’t feel anything. It doesn’t taste anything per se. It processes everything the body is experiencing. In the brain there are sleights of mind, there are shadows. But I don’t know which, if any of those, Paul had in mind. You mention in the epilogue that as you wrote this book, you reviewed your work with Paul. What was that like? Every evening, Paul would ask me to read him the pages I had written, and then we’d talk. We reminisced, we mourned, we helped each other remember what had happened, and in the process he learned better what had happened to him, and he also learned what I’d been going through. It brought us closer together. It was therapeutic. How has your marriage changed since Paul’s stroke? It’s not really one marriage, it’s several. Our household was always very romantic and zany and it still is, and we still play lots of word games and relish language, but Paul is aphasic and he always will be. Do you have favorites among Paul’s one hundred names for you? I absolutely love them all. But a few of my favorites are: “Little Moonskipper of the Tumbleweed Factory,” “Spy Elf of the Morning Hallelujahs,” and “My Little Bucket of Hair.” I don’t have a hairdo, I have a weather system of hair! You continue to devote so much time to caring for Paul, and yet you still manage to write. How do you juggle it all? Paul and I just agree what time I will be working. I get up early. I love to watch the dawn. I do most of my writing between dawn and noon before Paul gets up. We’ll both stop working at five p.m. and then have dinner and watch a movie. I am working on something, but I can’t tell you about it yet I’m afraid. No hints! But it will be Ackermanian. And finally, Diane Ackerman, what’s your Six-Word Memoir? There was never a dull torment. READ an excerpt from One Hundred Names for Love. BUY One Hundred Names for Love. WATCH a video of Diane Ackerman and Paul West discussing One Hundred Names for Love. workouts. Eat well, but focus on whole foods, whole grains, and not fatty items. Is Paul still living? If not, at what age did he die? I enjoyed the book ONE HUNDRED NAMES FOR LOVE. The first three photos are Brassai igmeas which means that in every city, there is one particular zone in which that zone shows its true characteristics at night. As depicted in the book, these zones metaphorically wear a mask during the day can come out in a parody of death at night. The next image is Fuseli’s Nightmare painting in which a haunted horse peaks its head through a curtain in the darkness and unites fear, sexuality, and night. The next image, in my perspective, is that of Rembrandt, his Nightwatch painting. It shows the dynamic interplay between night and light which is ironically a day scene (the picture under that too). The next photo I am not quite sure about. In my opinion i think it is that of Van Gogh, Cafe Terrace . In this photo he reveals the night sky abnd the effects of nocturnal night on the water, stone, as well as air. Macauley quotes it on page 285 in the last paragraph. The image after that is the northern lights that provide intoxicating colors of green and red and is caused by particles of the magnetosphere colliding with particles of the atmosphere. The next image is that of Van Gogh, Starry Night . He provides swirling clouds, blazing stars and a cresset moon to show that the night is more alive than the day. The last image, in my opinion, is that of Sandy Gellis in which she depicts nightscapes from an airplane in seat 8A. Electrical lights at night are alayws where my mind goes when I think about the role of perspective in beauty, or the idiom, Beauty is in the eye of the beholder. Looking over a city or a town from a distance you can see nothing but yellow and orange lights. If you were right alongside them, they would likely be annoying or objectionable (especially those ones with burnt plastic, half filled with rainwater and dead flies! ), at best utile. But from a distant perspective they become beautiful points of only light, the functional object completely obscured.It’s something akin to the beauty of notes played on a piano versus the actual sight of the cloth hammers hitting metal strings. There seems something important in thinking in the role of the perceiver in describing what elements mean to us.